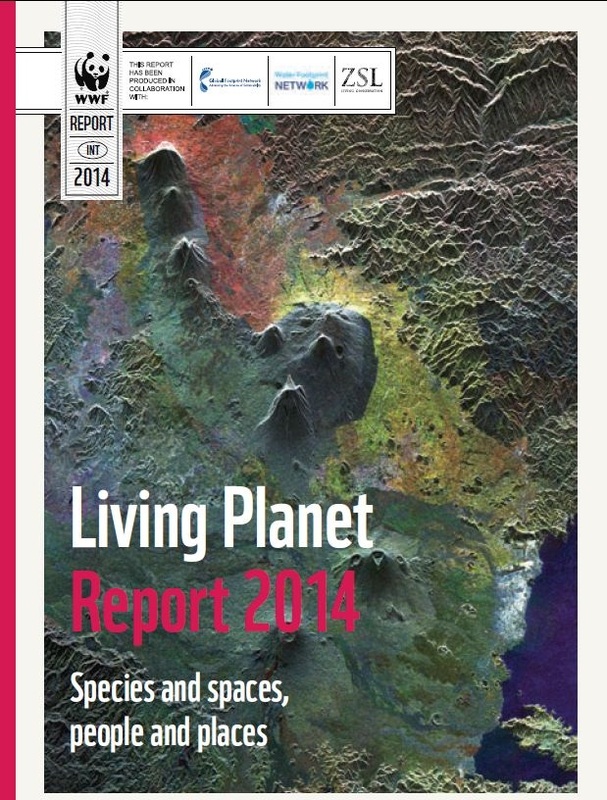 The most recent edition of the Living Planet Report looks at global and habitat trends in different systems, and presents an analysis of the most common threats to declining populations. From 1970 to 2012 the LPI shows a 58 per cent overall decline in vertebrate population abundance. The current global LPI is based on scientific data from 14,152 monitored populations of 3,706 vertebrate species (mammals, birds, fishes, amphibians, reptiles) from around the world. Population sizes of vertebrate species have, on average, dropped by more than half in little more than 40 years. The data shows an average annual decline of 2 per cent and there is no sign yet that this rate will decrease. If current trends continue, by 2020 vertebrate populations may have declined by an average of 67 per cent since 1970. 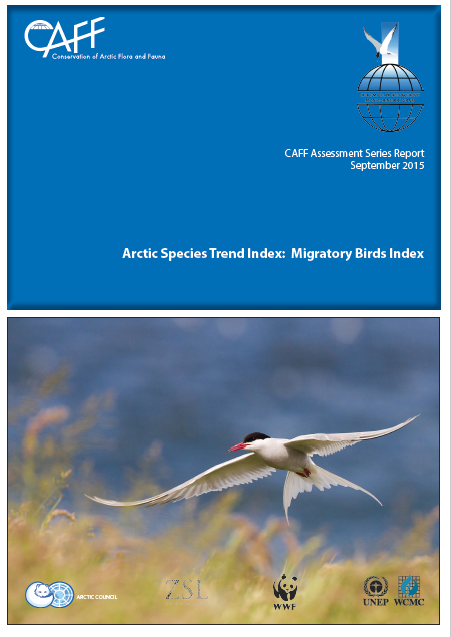 The Arctic Migratory Birds Index describes the broad-scale trends in 129 selected migratory bird species. This examination is necessary for designing and targeting informed conservation strategies at the flyway level to address reported declines. This report aims to describe the broad-scale trends necessary for designing and targeting informed conservation strategies at the flyway level to address reported declines in migratory birds that breed in the Arctic region. We examine abundance change in selected species following the Living Planet Index method, incorporating information from both inside and outside the Arctic to capture possible influences at different points during a species' annual cycle. The 129 species have increased in abundance by 40% on average between 1970 and 2011. This overall trend masks differences between taxa and in flyway regions, with declines in East Asia and Central Asia, and recoveries in Africa-Eurasia and Americas. Shorebirds are in decline while waterfowl show increases across all flyway regions. The indices presented in this report are an important first step towards building detailed knowledge of Arctic migratory bird populations over the past 40 years and their response to a range of threats along flyway routes. As a barometer for the state of the flyways, our results have implications for policy makers and the wider conservation community both inside and outside the Arctic. 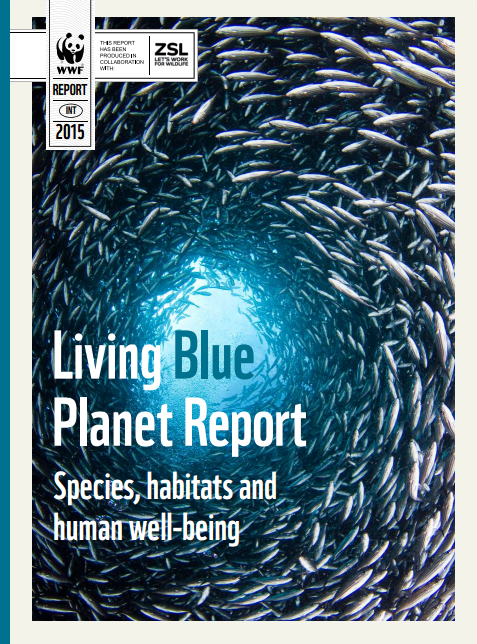 This thematic edition of the Living Planet Report reveals global trends in marine species and examines how pressures such as fishing, pollution and climate change are impacting important aquatic habitats. This is a special marine edition of WWF’s Living Planet Report. This report uses the Living Planet Index to provide a global picture on the status of marine biodiversity using data on 7,829 populations from 1,234 species of marine birds, mammals, reptiles and fishes. 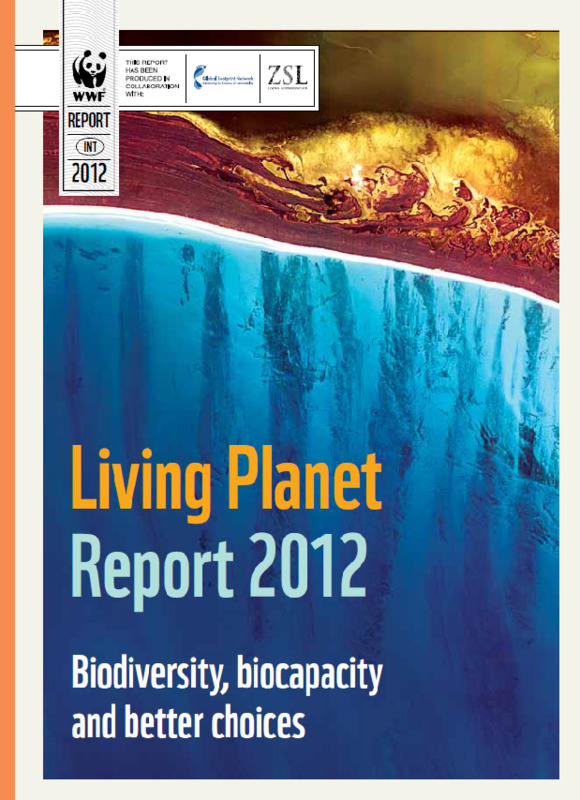 The main statistic from the report is the global marine LPI which shows a 49% decline between 1970 and 2012. Over-exploitation is one of the main drivers behind the decline, but important marine habitats are also under threat from climate change, pollution and coastal development. Safeguarding these habitats is vital for the conservation of marine biodiversity, the protection of coastline and the support of people’s livelihoods and food security across the globe. 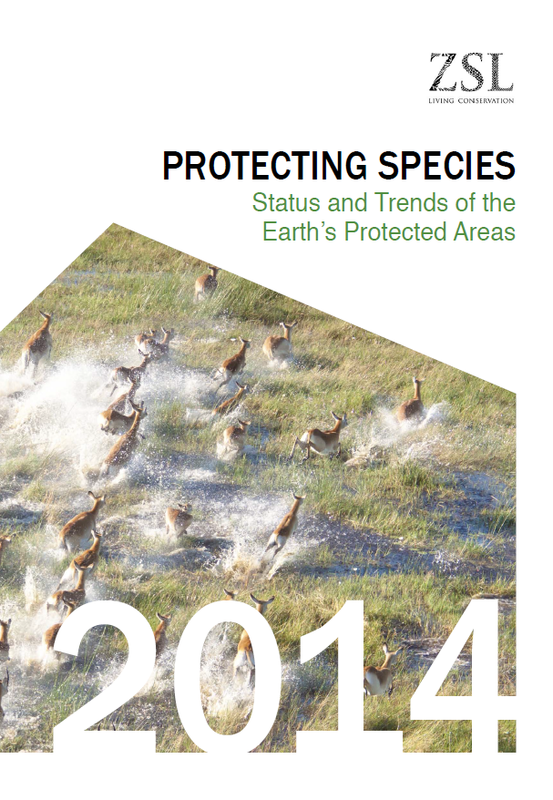 This report on the status and trends of the Earth’s protected areas looks into the efficacy of PAs, i.e. where and how PAs are working. Protected areas (PAs) have been heralded as one of the cornerstones of global conservation efforts. This report on the status and trends of the Earth’s protected areas looks into the efficacy of PAs, i.e. where and how PAs are working. It shows that population trends within PAs vary greatly across countries with average trends ranging from pronounced increases to rapid declines. Some of these differences relate to differences in income and perceived corruption across countries. But taxonomy also plays a role: reptiles and amphibians in PAs show average population declines of 34% and 97% respectively while fish, birds and mammals showed increasing trends (182%, 57% and 10% respectively). Although this suggests that PAs are working in some cases, protected wildlife populations continue to be affected by habitat change and exploitation, including in some of the most famous PAs in the world. The main statistic from the tenth edition of WWF's flagship report is the global LPI, which shows a 52% decline between 1970 and 2010. This means that animal populations are roughly half the size they were 40 years ago. 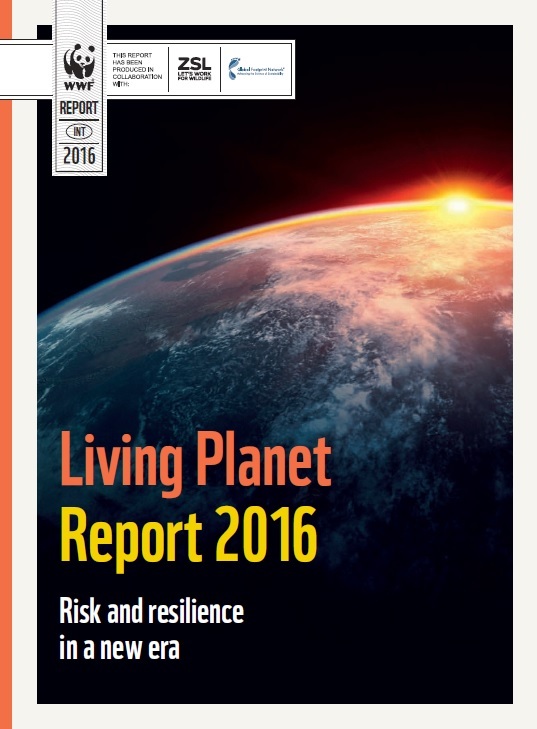 In this tenth edition of WWF's flagship publication the global Living PIanet Index shows a 52% decline between 1970 and 2010. Trends in different habitats exhibit varying levels of decline, with marine and terrestrial species both showing reductions of 39 per cent between 1970 and 2010, while the LPI for freshwater species shows an average decline of 76 per cent. These changes are caused by different threat processes: in terrestrial environments, the loss of habitat for human land use continues to be a major threat compounded by hunting, while freshwater populations are also affected by pollution and invasive species. Globally, wildlife populations are affected by the combined impacts of habitat loss and degradation, driven by unsustainable human consumption. Our current demands on nature are clearly unsustainable and increasing, but there are ways in which we can live within the planet's means. This study seeks to identify the main drivers for recovery of a selected number of mammal and bird species in Europe, in order to learn lessons for the future. 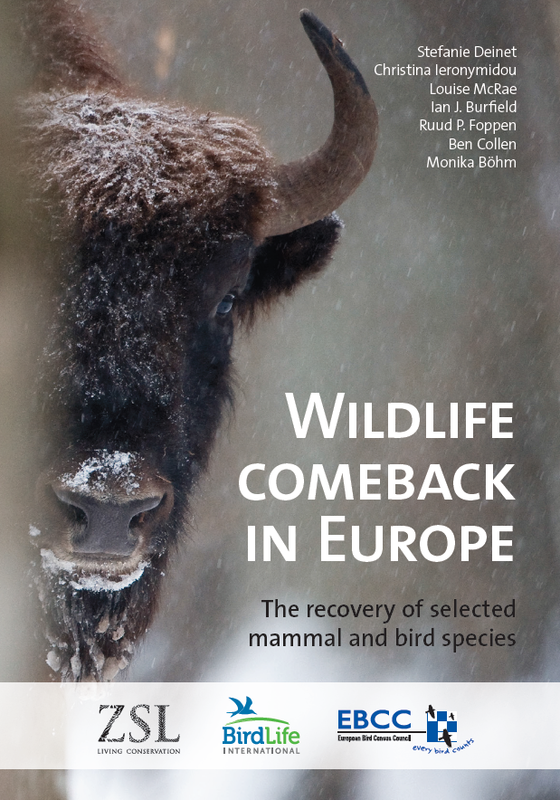 This report on the resurgence of European wildlife was produced by the Zoological Society of London, BirdLife International and the European Bird Census Council (EBCC) for the Rewilding Europe Initiative. It shows that a wide-ranging comeback of iconic species has taken place in many regions across the continent over the past 50 years. Legal protection of species and sites emerged as one of the main reasons behind this recovery, while active reintroductions and re-stockings have also been important factors. Whilst this suggests that nature conservation works, more commitment, resources and new kinds of conservation measures are needed in order to halt biodiversity loss and restore other declining and depleted species. The Africa Living Planet Index shows a 39% reduction in the size of vertebrate animal populations between 1970 and 2008 in Africa. This report on the state of biodiversity and resource use in Africa offers a broader view than that offered by the results produced by the Living Planet Index alone. It looks at natural resource use within Africa and how the rate of use of resources such as water and natural capital have changed over the past forty years. 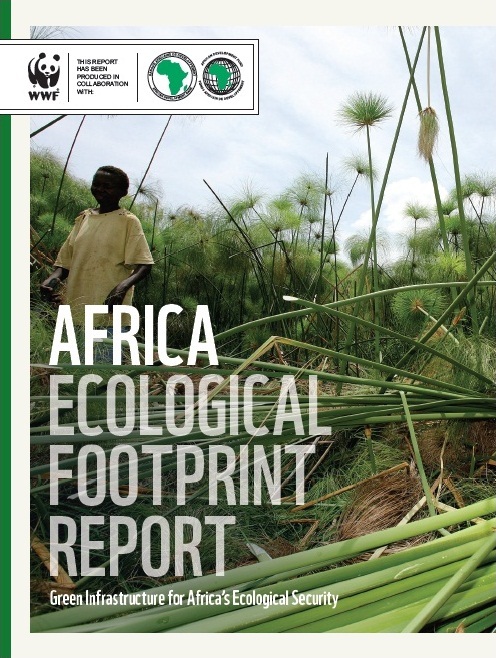 For example, the Ecological Footprint of all African countries increased by 240% between 1961 and 2008, which is likely due to a combination of population growth and increased consumption per capita. It also presents examples of solutions that promote the creation of wealth and alleviation of poverty through more sustainable management of the continent's natural capital. 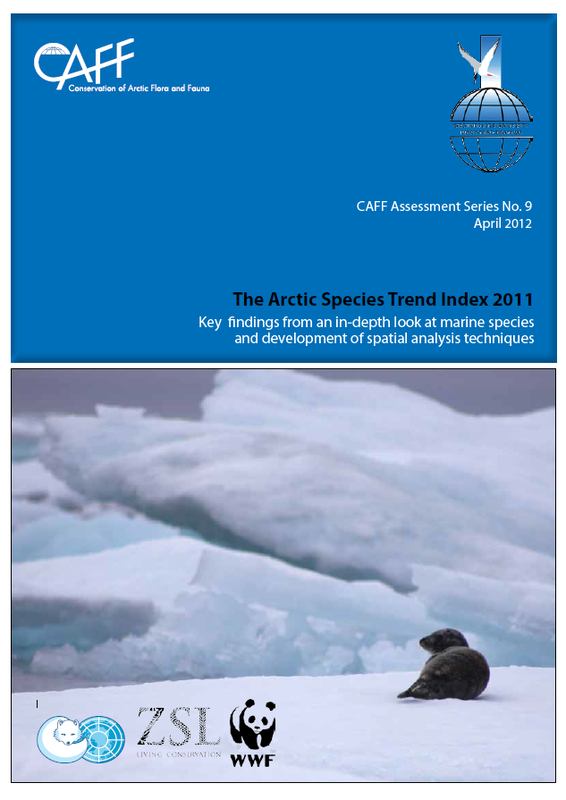 The Arctic Species Trend Index for marine animals shows an increase in abundance between 1970 and 2007. This trend seems likely to be driven by increases in the number of fish in the Bering sea. This report into trends in abundance of marine Arctic species looks initially at the overall increasing trend that can be observed. It then breaks this trend down regionally and taxonomically to establish that the overall increase in abundance is different in these subdivisions. We see, for example, that although bird populations increased in abundance substantially until 1986, growth since then has been much more limited. Ecological and management factors are also considered; for example, how changing patterns in sea ice and protected areas can influence trends in population abundance. The Living Planet Index shows that global vertebrate populations have declined by 30% since 1970 with a more worrying decline of 60% if only the tropics are considered. This update of the Arctic Species Trend Index suggests that the average abundance of Arctic vertebrates increased from 1970 until 1990 and since then has remained fairly stable. 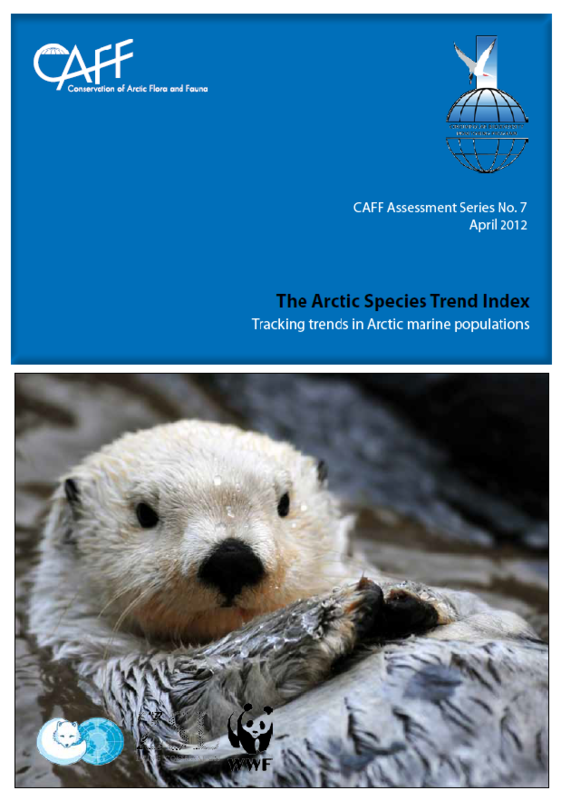 This report provides an update on the conclusions drawn in the Arctic Species Trend Index report published in 2010, which suggested that the abundance of Arctic vertebrates increased between 1970 and 1990 and thereafter remained fairly stable. When abundance is grouped taxonomically or into broad ecozones, a different pattern is seen with distinct trends emerging for different regions and clades. It goes on to summarise the key results of a spatial analysis performed on this data and on marine vertebrates. The spatial analyses have allowed conclusions to be drawn about biodiversity change over space and time relating to other environmental factors as well as providing an opportunity to identify data gaps. The marine analysis, meanwhile, has allowed distinct patterns in different taxanomic groups to be identified, for example since the late 1980's marine mammal abundance has largely declined whilst marine fish populations have stabilised. The Arctic Species Trend Index suggests that Arctic populations decreased in abundance between 1970 and 1990 and since then have remained fairly stable. 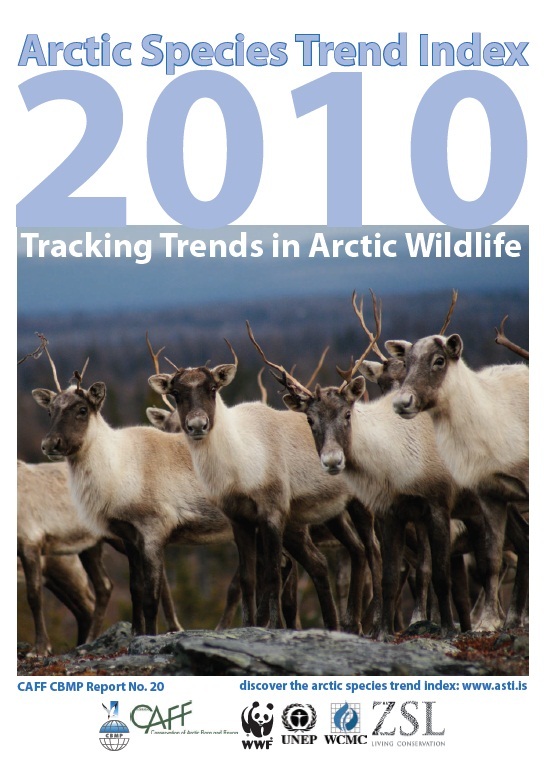 This report documents the trends seen in the overall Arctic Species Trends Index in 2010. It incorporates abundance trend data from 965 populations of 306 species, representing 35% of all known Arctic vertebrates. The High Arctic has seen the most significant declines with vertebrate abundance declining by 26% between 1970 and 2004. In contrast Low Arctic species seem to have experienced an increase in abundance whilst Sub Arctic species, although they have been declining since the mid 1980's do not show a significant decline across the whole time period. This report also argues that further work is neede to produce an index that adequately represents all taxa across space and time and advocates the introduction of more integrated research and monitoring programmes.